Whether it’s milliseconds of application response time or delivering the latest sporting event in HD quality, content delivery is becoming increasingly important to providing a great user experience. And the CDNs, carriers, network operators, and technology companies who make the delivery of digital experiences possible are always seeking ways to improve—faster, more consistent, better secured delivery. Content Delivery Summit 2019 is a one-day conference that brings together many of the leading technologists, engineers, and companies involved in the delivery of applications and media content for an in-depth look at the future of this industry and how we can improve the user experience by improving content delivery. Join us Monday, May 6, 2019 at the Hilton New York Midtown Hotel in NYC. 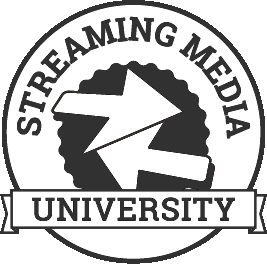 Content Delivery Summit is co-located with Streaming Media East 2019 and may either be registered for separately or as part of your Streaming Media East registration when you upgrade to an All Access Pass. Get real business done. Content Delivery Summit is THE place to meet face to face with those who are designing, building and deploying CDN platforms used for delivering nearly all of the content consumed on the Internet today. Hear and learn from more than 50 speakers. The Summit includes case studies on real-world deployments, demos of new technology platforms, and discussions on business models for both on-net and off-net delivery. Network with peers and experts. Now in its eleventh year, the Content Delivery Summit brings together hundreds of attendees each year including some of the best minds in the industry.